Giving to The Fund for Hofstra Law at the Maurice A. Deane School of Law at Hofstra University in honor or in memory of someone is a great way to acknowledge that person and support Hofstra Law. The more than 12,000 alumni who have passed through our doors are now excelling in all types of law, business, government and much more. Our renowned professors have diligently taught our students the law, some for well over 30 years. 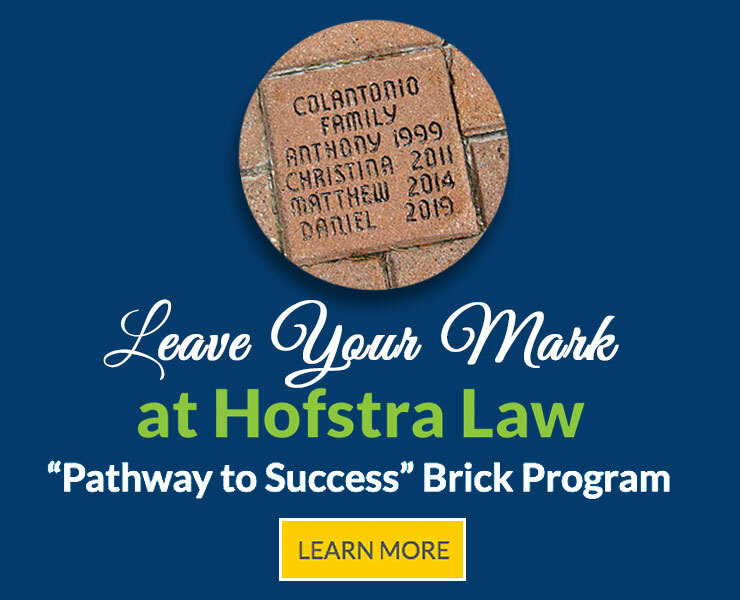 Honor them with a gift to The Fund for Hofstra Law. We will send a personalized notification that a gift has been made. Please indicate in the “Comments/Questions” box where the notification should be mailed. Are you an alumnus who wants to honor a classmate? Whether it is for a milestone birthday, personal achievement, professional honor or some other momentous occasion, a donation to The Fund for Hofstra Law is a special way to recognize your classmate and make a contribution to the future of Hofstra Law. Do you want to honor a professor? As a student here, you spent many hours learning the law, and your professors were an integral part of your studies. Honor a professor who helped shape your law school experience or professional career. Are you a parent, friend or family member of an alumnus who wants to acknowledge their contribution to the legal community? Our graduates are frequently recognized for their accomplishments and talents by Long Island Business News, Super Lawyers and many other forums and organizations.